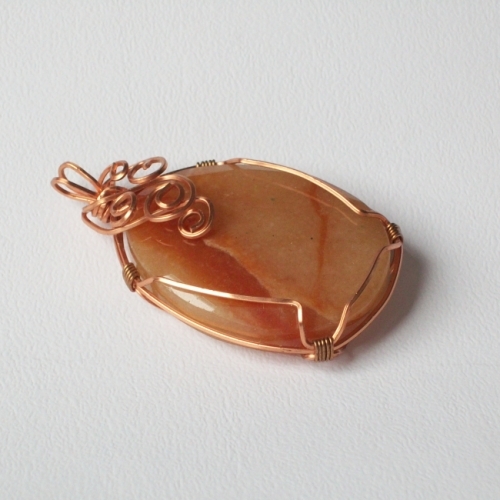 Handmade wire wrapped pendant of faceted red aventurine stone with square copper wire. 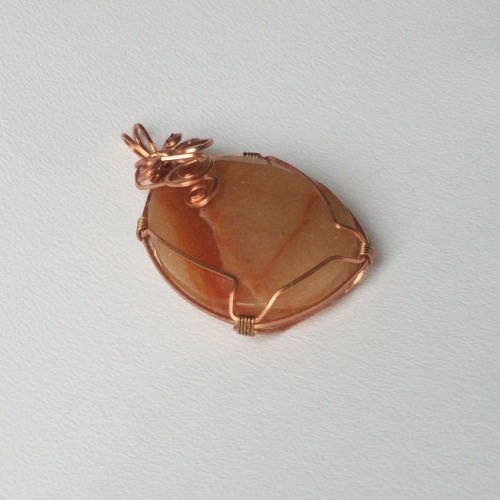 Both the wire and the beads facets enhance the natural tones and banding of the stone. 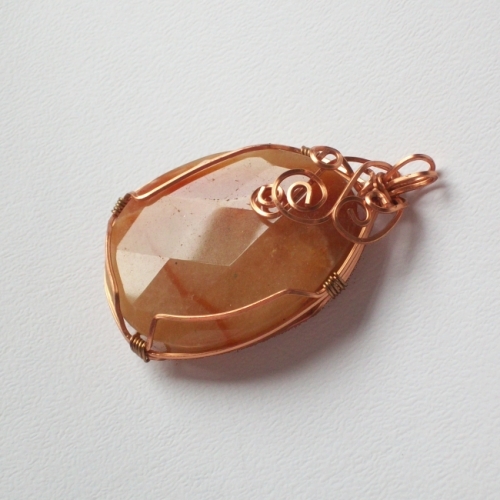 The pendant measures 5.5cms drop x 3cms wide. 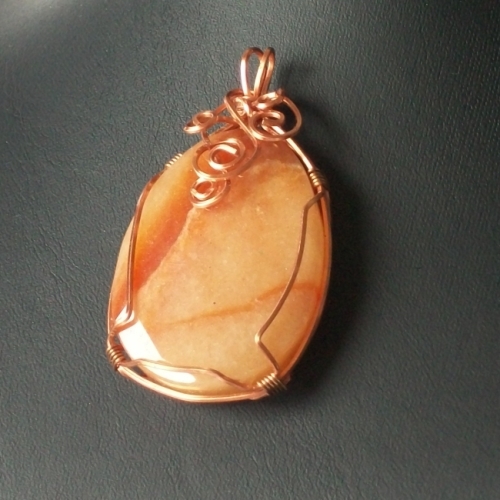 The listing is for pendant only. Sent in a handmade gift box tied with ribbon, custom made in your choice of colours.